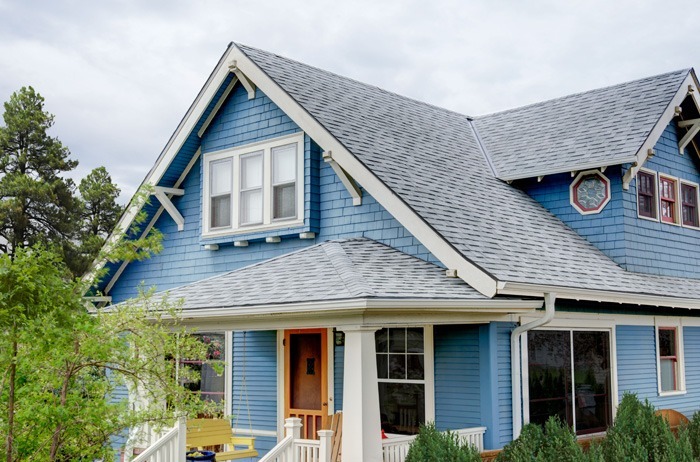 If you ask any roofing contractor in the Portland area who’s been in business for long enough, they will confirm that the rooftops that they put on customers’ houses are only as good as the materials they use. 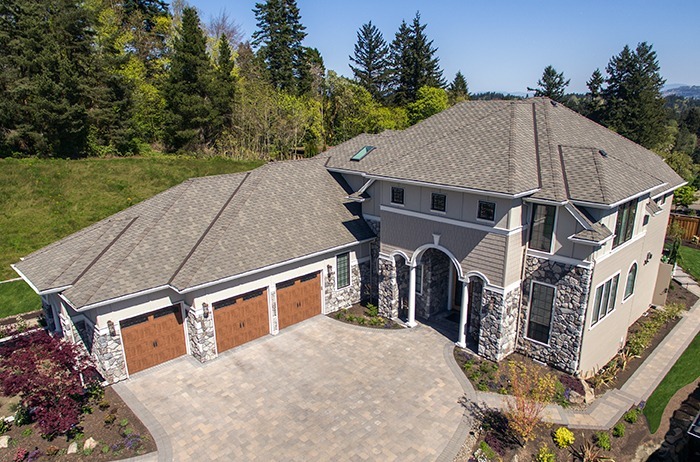 At Giron Roofing, we pride ourselves on our craftsmanship and designs, but we wouldn’t be one of Portland’s best roofing companies if it weren’t for our partnership with Malarkey Roofing Products. 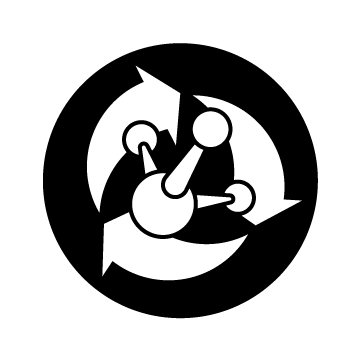 Malarkey is a company that shares our commitment to the end user and we confidently recommend their product to our clients. There is no lack of roofing materials in the marketplace. After all of your research is completed and questions answered, you may still be thinking, “So, what material should I use on my new roof?” Do not fret if you are in the undesirable position of analysis paralysis. Hundreds of thousands of people are in this same struggle with you. In this article, we will discuss one of the more prominent and well respected brands of roofing materials. Even if you choose to use other products, the industry leading warranties and products offered by Malarkey Roofing Materials, should be the new gold standard by which you judge all other roofing materials. Malarkey is primarily a roofing shingle manufacturer, which happens to be the most popular type of roofing material in the United States, and is our biggest seller. 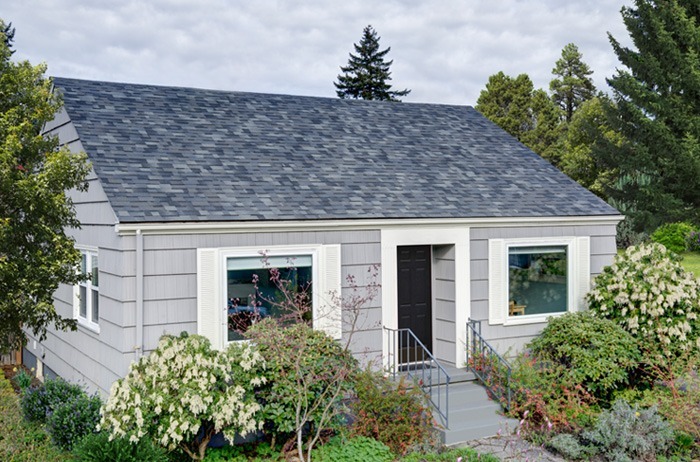 While there are many shingle roofing manufacturers who will sell their products to roofing contractors in the Portland area, Malarkey makes 3-tab shingles, laminated architectural shingles, and heavyweight shingles in a variety of colors. 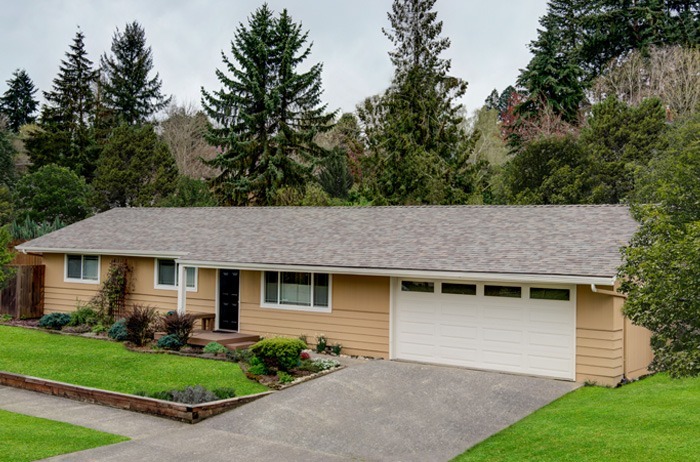 Their state-of-the-art asphalt roofing shingles are ideal for the cold, rainy weather that Portland roofs experience throughout the year. Because of the size and consistency of their product line, Giron Roofing can easily match replacement shingles to our customers’ homes, should their roofs be in need of repair in the future. Affordability, reliability, and sustainability are three of the benchmarks that we looked for when we were considering roofing suppliers, and Malarkey delivers on all three fronts. 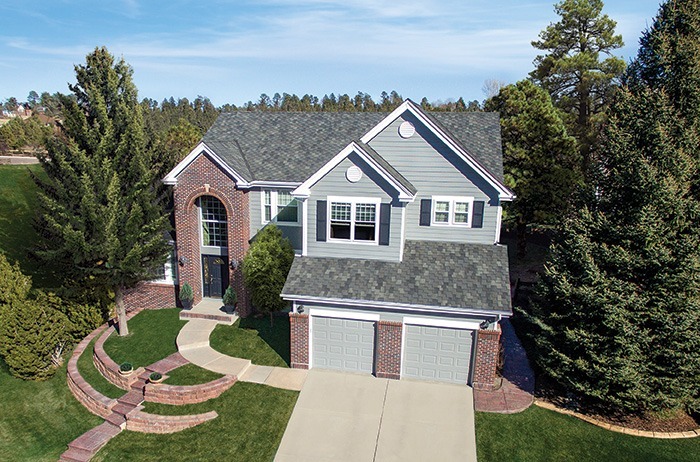 Malarkey specializes in high-grade asphalt shingles specifically designed for steep slope roofs. Their roofing products are eco friendly, weather resistant and offer incredible lifetime warranties. Below, we have some of the more popular types of materials that are offered. 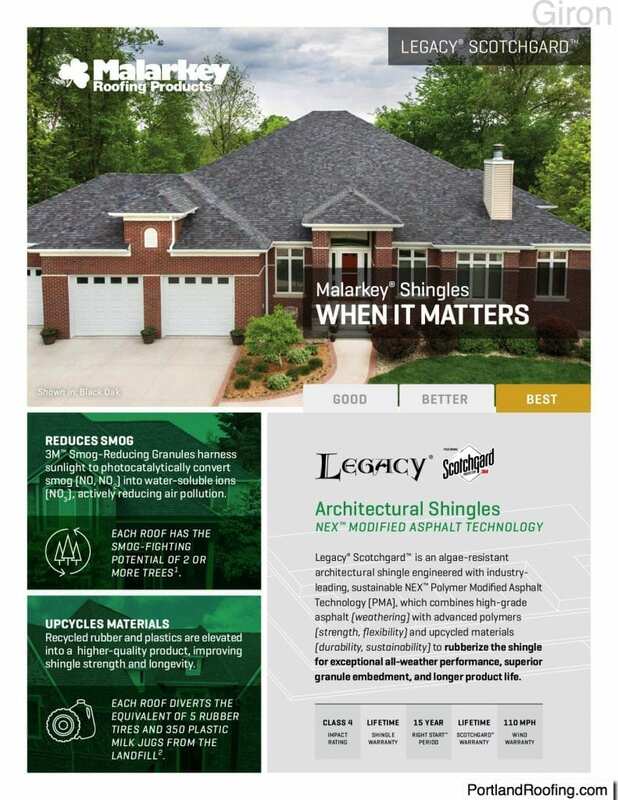 Designer Shingles: These heavy duty shingles offer a stylish appeal reminiscent of a cedar shake roof, impact resistance as well as a pentiant for warding away unsightly stains. Laminated Architectural Shingles: The perfect mix of design and protection. This series of shingles offers a dimensional look and feel in addition to protection from mild to harsh conditions. They also protect against algae staining. 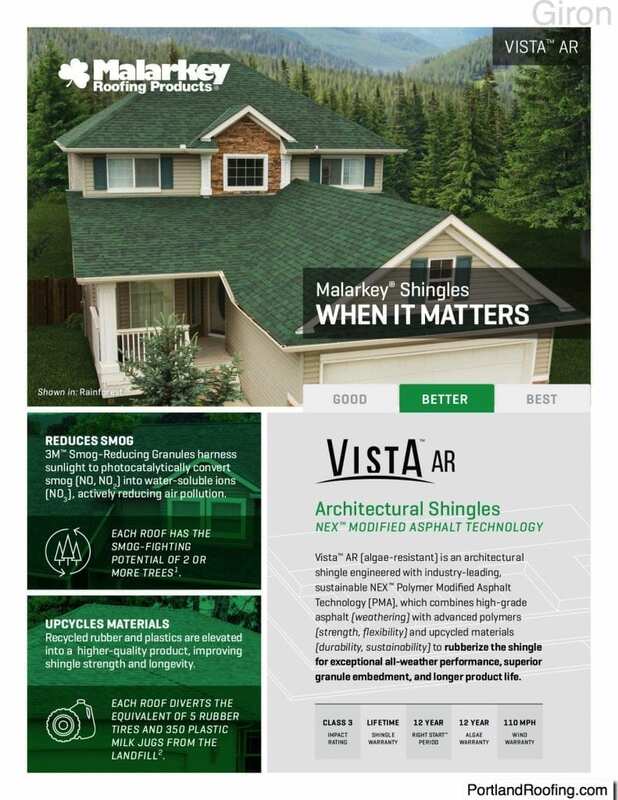 3-Tab Shingles: Shingles designed to offer protection and beauty for the classically designed slope roof. Each option has its own set of benefits. If you are curious to learn more, do not hesitate to give our experienced team of Emerald Premium Roofing Contractors a call. 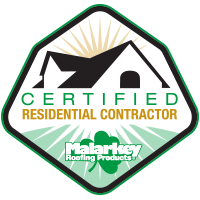 100% Reimbursement – Malarkey’s A Right Start™ program means that during the initial warranty period, your shingles are 100% warrantied and you will be 100% reimbursed against your warranty claim, regardless of depreciation. Warranty Transferability – During the Right Start period of your warranty, you can transfer your protection to a new homeowner. That means that if you decide to sell your home, you can tell your realtor and potential buyers that the roof is 100% warrantied for the remainder of the period. Enhanced Wind Warranty – Portland is a coastal city and is subject to some very unpredictable weather. Malarkey products have additional protection against high winds. 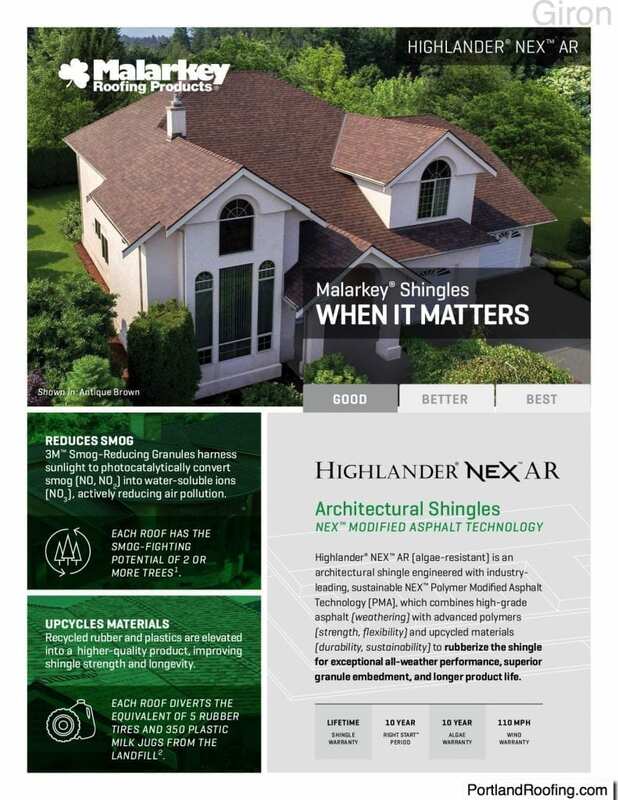 Scotchgard Protection – Without being properly treated, all shingles are susceptible to discoloration due to algae and other factors. Malarkey’s warranty covers this eventuality for twenty years. 3M™ Copper Roofing Granules are the key ingredient used in shingles featuring Scotchgard™ Protector to help protect shingles against black streaks caused by algae for up to 20 years! By capitalizing on our high quality granules and innovative thinking, manufacturers are able to use a mixture of both copper and classic granules to create a premium asphalt shingle that fights black streaks caused by algae. This innovative design helps maintain your roofs clean appearance and preserve its beauty for years to come. So go ahead, admire your beautiful new roof with shingles featuring Scotchgard Protector. These are the basic warranty features for all Malarkey products. Some items have enhanced coverage. For a company like Giron Roofing, knowing that our supplier warranties their products gives us a tremendous source of confidence. Giron Roofing protects our customers, but Malarkey Roofing Products help us protect them better. The Asphalt Roofing Manufacturers Association (ARMA) offers several tips on how to drive roofing nails accurately into asphalt shingles. Accurate nailing goes a long way toward ensuring optimal performance. Only use corrosion resistant nails, such as aluminum nails that don’t require additional galvanizing coats to achieve corrosion resistance. Roofing nails should possess a minimum shank diameter of 0.105″ and a minimum head diameter of ⅜”. Roofing nails should penetrate at least ¾” into a roof deck. Drive all roofing nails by hand or pneumatic nailer. Most asphalt shingles require a minimum of four nails. Nailing area recommendations presented by ARMA include the consideration of shingle thickness and number of shingle layers. 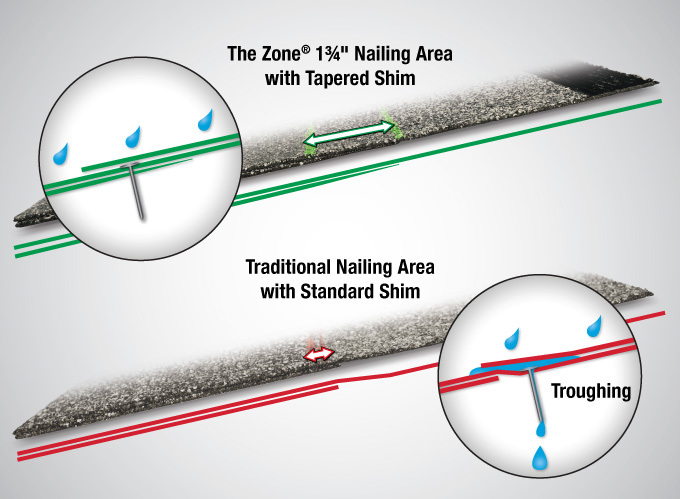 Malarkey Roofing exceeds the minimum nailing area recommendations presented by ARMA, with the revolutionary nailing area called The Zone®. 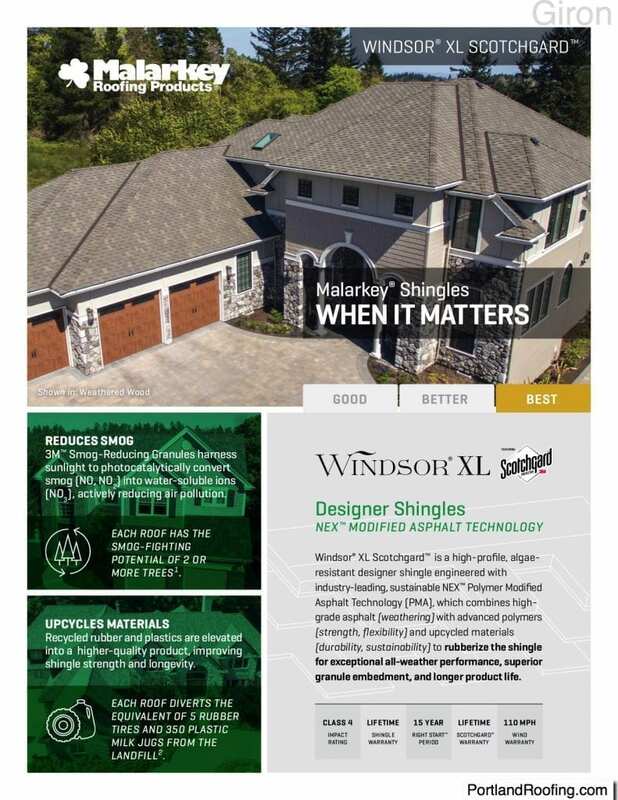 Malarkey Roofing Products® announced in December 2000 that the United States Government issued a patent for the development of the unique shingle design called The Zone. This groundbreaking technology increased the nailing area of a shingle three times the size of traditional laminated shingle nailing areas. Malarkey Roofing Senior Vice President Gregory Malarkey understood the perspective of roofers and collaborated to create this innovative shingle design. 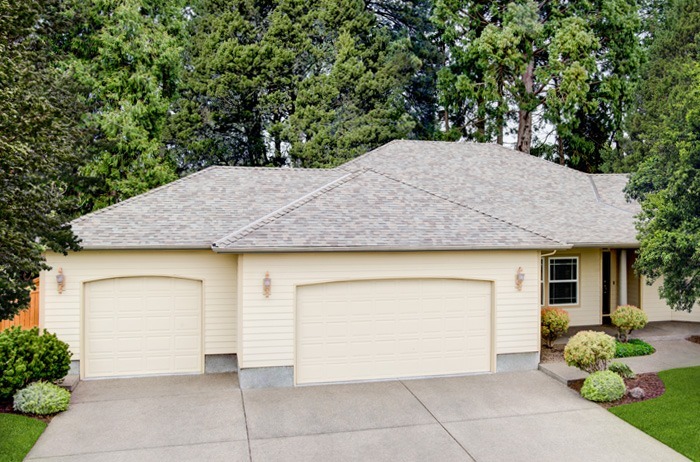 “After looking at laminate shingle installation, we realized we had to do something to help the roofer. Improper installation invalidates the warranty and could significantly reduce the life of the roof,” stated Greg Malarkey. Incorrectly driven nails represent the primary cause of improper shingle installation. In turn, poor shingle installation produces a flawed roofing project that diminishes the value of your home. Incorrect nail placement can void roofing warranties due to leaks or worse, shingles blowing off roofs. Malarkey Roofing’s architectural shingles include The Zone nailing area, a near two-inch nailing area that facilitates correct nail placement. An average size roof requires more than 6,000 nails to secure the shingles, which means installers have more than 6,000 chances to make a nailing mistake. Because of the sheer number of fasteners, research demonstrates that roofing contractors incorrectly install a vast majority of roofs. Greg Malarkey wanted to provide roofing contractors with a nailing method that dramatically increased fastener placement accuracy. Laminated architectural shingles are the most popular shingle for roof installations. Their aesthetically appealing appearance enhances the visual appeal of your entire home. However, many laminated shingles provide roofing contractors with an area only ⅜ and ½ of an inch wide in which to drive nails. Malarkey Roofing Products developed The Zone technology to increase the speed of shingle installation. The 1¾” nailing area is more than three times the size of traditional nailing areas. Roofing contractors can now drive nails faster and more accurately, which leads to the completion of successful roof installation projects. An improperly installed roof can lead to the voiding of a manufacturer’s warranty. However, the loss of coverage pales in comparison to the conspicuous remnants of inferior nailing. 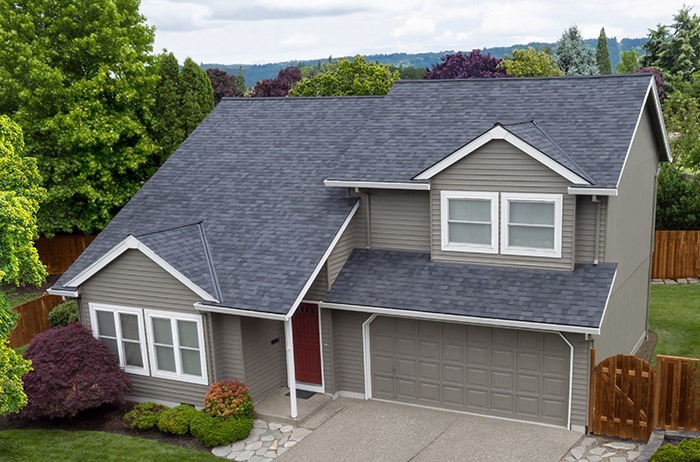 If your roof has steep slopes, for instance, the backing strip of a laminated shingle might dislodge from below the top layer and lay askew, spoiling the look and leaving the roof susceptible to failure and leaks. Installing a roof with The Zone nailing area by Malarkey Roofing decreases the possibility of your roof experiencing troughing. Troughing is caused when the bottom, laminated layer of an architectural shingle, known as the shim, abruptly ends and the top layer of the shingle dips down in the empty space created. The troughing effect is magnified when the shingle is improperly high-nailed and penetrates only the top layer of the shingle, pulling it down and creating a visible trough in the roof design. When it rains, runoff on the roof can move laterally along the trough and make its way between shingle layers, resulting in potential leaks, especially when fasteners are high-nailed and sit in this trough. Although troughing doesn’t affect every laminated shingle, it can affect enough laminate shingles to cause serious leaking into your home. Laminated shingles installed using The Zone have a much larger overlap and fastening area that helps prevent the development of troughing. Portland is one of the most eco friendly cities in the world. With that knowledge in mind, not only are we environmentally conscious of food, cars, power consumption, etc., we are just as conscious about our roofs. Malarkey Roofing offers a bevy of sustainable roofing materials that will help you to conserve energy as well as play your role in preserving the environment. In addition, Malarkey uses an innovative technology that actually works to reduce smog emissions. In fact, one roof that is made with smog reducing granules is just as effective as two or more trees with regard to cleaning the air and reducing the negative effects of air pollution. For decades, very few manufacturers of roofing materials gave any thought to the environmental impact of roofing or using sustainable materials, but that’s changing with companies like Malarkey Roofing Products. Most of the roofing shingles are made from asphalt, which is durable, beautiful, and most importantly, can be recycled. In addition, many of Malarkey’s surfaces, are reflective, which means that heat doesn’t bleed into the home and increase energy costs. Malarkey Roofing Products® is deferring waste from entering landfills by reducing our need for new synthetic materials. With our Nexgen™ polymer modified asphalt, the next generation of asphalt shingle technology, specific polymers sourced from repurposed materials are included to enhance performance characteristics of the shingle. The environmental results are significant. At each manufacturing facility, Malarkey uses repurposed materials for shingles featuring Nexgen™ polymer modified asphalt. At this scale of production, the reduction of environmental impact is substantial. 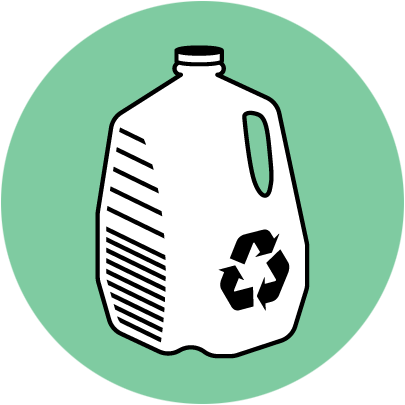 For every ton of recycled plastic or synthetic rubber used, 4 barrels of oil and 7.4 cubic yards of landfill space are saved. 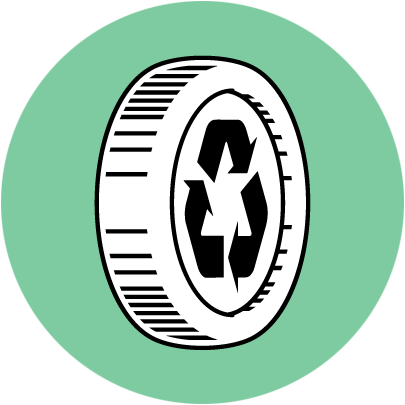 Additionally, for every pound of recycled tire rubber used, one pound of carbon dioxide is prevented from being released into the atmosphere. 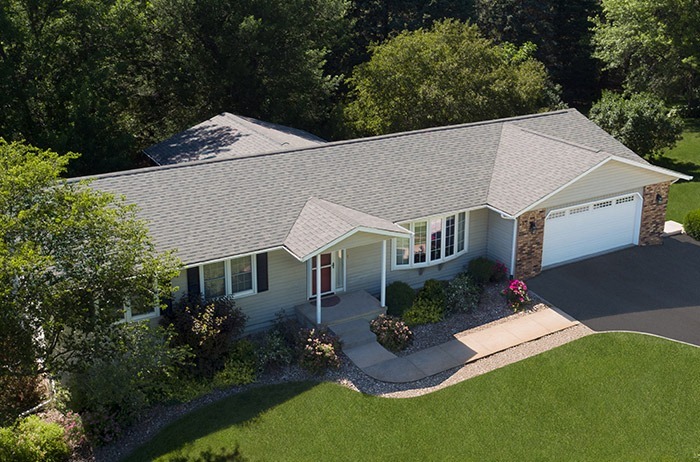 An average-sized roof* with Nexgen™ asphalt shingles feature roughly 5.5 tires and 350 milk jugs. Malarkey Roofing Products cares about the end user, but in the roofing business, most of their interactions with customers happen through a contractor. If a contractor doesn’t install high-quality roofing, it will reflect poorly on the materials, even if they are of very high quality. 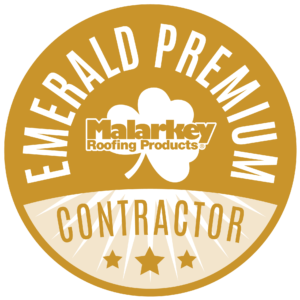 That’s why Malarkey has designated certain business partners as Emerald Premium Contractors. Long-Term Experience: Emerald Premium Roofing contractors must have a minimum of five years experience. 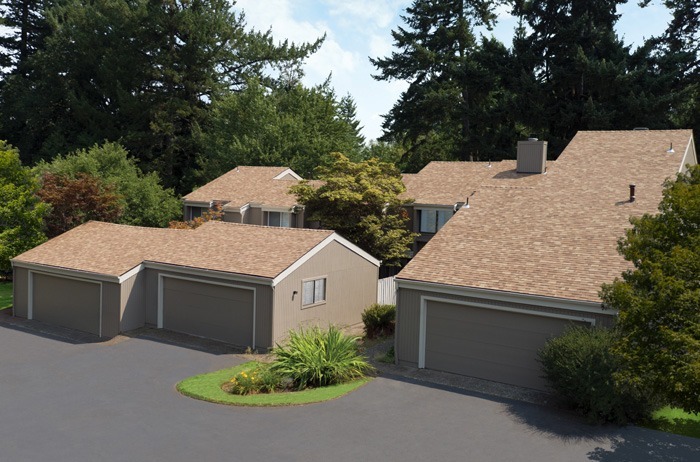 Established in 2010, Giron Roofing has been serving for the Portland community for eight years. Commitment to Quality Service: With page upon page of five-star reviews, our customers have been giving us impressive accolades about our service since our inception. And with an overall A-rating on Angie’s List, Giron has consistently demonstrated our commitment to customer service. 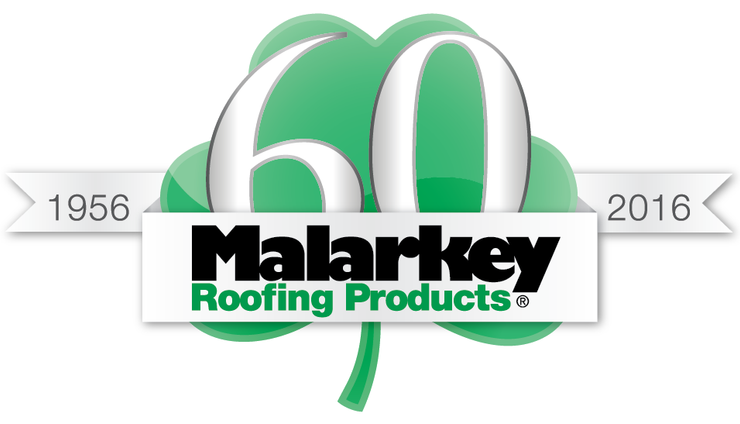 Trust and Loyalty – Our company has been using Malarkey Roofing Products since our earliest jobs. They are familiar with the quality of our work, and we know the quality of their product. It is a years-old relationship. 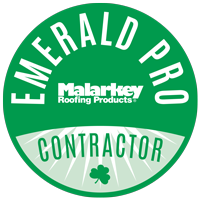 Educational Support and Testing – In order to become a Malarkey Emerald Premium contractor, our company had to complete the Steep Slope Roofing Excellence program and a Roofing Installation Evaluation. Giron Roofing could purchase products from any supplier that operates in Portland, but we choose Malarkey Roofing Products. We are proud of our reputation and we owe that in large part to the reliability of our largest business partner.